Paula’s experience, since I left my job, has been quite different from mine. For one thing, I am no longer equipped to deal with challenging paperwork. Paula and I are advocates for affordable health care, but we also know that “The Health Connector,” as it is known in Massachusetts, has a number of administrative flaws. On a number of occasions, Paula has been on the phone with Health Connector staffers for an hour or more. * I wish that I could be of more help in this realm, but my “executive functioning”—the ability, for example, to follow a lengthy cooking recipe—has clearly eroded. My greatest fear isn’t that I will die from Alzheimer’s; it’s to live on so long that my personality will have been largely effaced. I’m still in the first of the three stages of the disease, but this journey does not provide the option of a round trip. Already I have given up driving. I do continue to take part in the grocery shopping, thanks to having a couple of supermarkets less than a fifteen- or twenty-minute walk from our home. Since Paula works from home, she can pick me up once I’ve done most of the shopping. No one wants to be helpless, and this week I have been contemplating the unfortunate statement by Mitt Romney, the former Massachusetts governor, when he was the Republican nominee for president. Unaware that his remarks were being recorded, Romney distinguished between “makers”—those who create jobs and generate tax revenue—and “takers,” who are a drag on the economy. What do I dread most? It’s not dying. Most of all, I don’t want to be a burden on my family—or, for that matter, a burden on my soul. I don’t have much interest in living past my expiration date, if that means that I will be a drag, emotionally and financially, for many years to come. *Paula has asked me to add that despite the bureaucratic headaches, we’re extremely grateful to have access to health insurance through the Affordable Care Act, or Obamacare, as it’s often called. The affordable insurance plan our family was able to purchase after my former employer’s plan ended has covered all of our medical needs, has allowed us to keep our wonderful doctors, and has enabled us to live somewhat comfortably on a smaller income. We hope our friends will join us in asking their representatives and senators not to accept Donald Trump and Paul Ryan’s health insurance plan, which would make insurance unaffordable for many families like ours, not to mention for families much worse off than we are. Next week Paula and I will be in Washington, D.C., advocating for Alzheimer’s funding and related issues. My next post will appear on Friday, April 7. The Dementia Action Alliance is an international association among English-speaking countries. It was from this organization’s website that I learned that at least ten people have been doing what I have been doing: blogging about their dementia. And last weekend an acquaintance of mine notified me of an article by the organization STAT—a project of the Boston Globe to shed light on health and medical topics. This past week’s subject was dementia. And, perhaps most important in the long run, “Give us adequate care” when we arrive at the final stage of the disease. Graham interviewed Mary Radnofsky, and like many of us, Radnofsky had a hard time getting an accurate diagnosis. The symptoms didn’t fit the standard version of Alzheimer’s disease. When she shared her diagnosis with friends, the friends tended to drift away, according to Graham. This, apparently, is more common than I thought. I’ve been reading the Australian writer Kate Swaffer’s book, What the Hell Happened to My Brain: Living Beyond Dementia, in which Swaffer reported the same thing as Radnofsky: Many, if not most, friends, relatives and acquaintances distanced themselves after they learned of her diagnosis. Is Australia behind the curve compared to other English-speaking countries when it comes to dealing with dementia? Not necessarily. 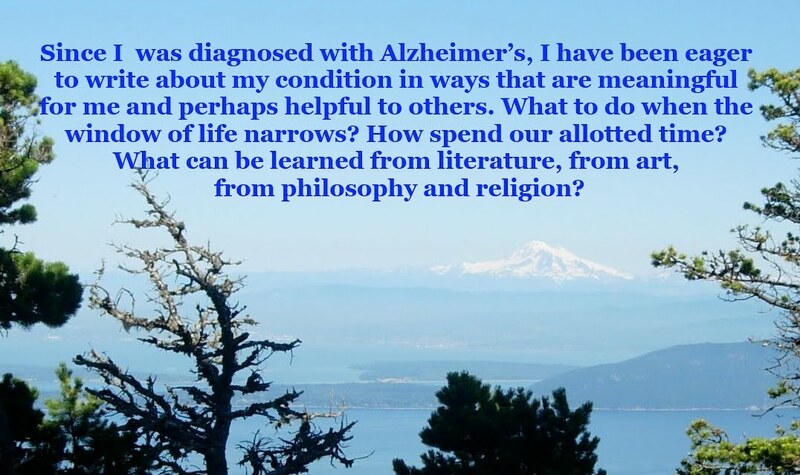 Have I lost friends since I was diagnosed with Alzheimer’s? Maybe one or two, who moved away from the Boston area many years ago. But because I am comfortable talking and writing publicly about my illness, I try to dispel the stereotypes—part of Swaffer’s mission as well. Within days after my diagnosis, I circulated an email to my colleagues. My going-away lunch a week or two later was a jovial affair, helping to bring closure to a very challenging period of my life. By then, I’d learned that Alzheimer’s is typically a slow-moving disease. It was around this time when I posted my diagnosis on Facebook. Within hours I was friended by Steve DeWitt, my former football teammate who, to my surprise, also had Alzheimer’s. We haven’t seen each other since 1979, but we stay in touch. And being active with the Alzheimer’s Association, where I am serving on the organization’s board, at times I feel almost as engaged as back when I was working full-time, but without the corrosive anxiety during my last couple of years of paid work. And, yes, I know that many people with dementia miss practicing their vocations. That my skill set—writing and editing—is still largely intact is a gift I don’t necessarily deserve. But I will strive to continue to write this blog as long as my capabilities allow—though I may give myself a sabbatical at some point, should I feel the yearning to do a book-length treatment of my disease and the steps I am taking to forestall the inevitable. Last May I attended a well-organized session in the Boston area about the national “Dementia Friendly” movement. Lunch was devoted to networking, not just socializing. Presentations were informative, and not overlong. A theme of the forum was an analogy to the 1990 Americans With Disabilities Act, which focused on making it much easier for people with handicaps to get around. I ended up titling my post “The curb cut for cognitive impairment,” a phrase I heard at the forum. Last week, advocates for Alzheimer’s services, several of them employed by the Boston-area Jewish Family & Children’s Services organization, got some welcome news. Massachusetts will be receiving money for Dementia Friendly funding purposes. As JF&CS’ Beth Soltzberg commented in an email, Dementia Friendly is an international organization that aims to change the way the public perceives people with dementia. Soltzberg also noted that the organization will be training volunteers in various locales, including nonprofits and churches and other houses of worship. And why are such services necessary? Even in an early stage of Alzheimer’s, routine tasks can become challenging. In 2013 and 2014, before I was diagnosed but knew something was wrong, I was doing the vast majority of my family’s grocery shopping. In one ignominious stretch, I lost my shopping list at my very small, very crowded, Market Basket supermarket in successive Saturdays. On the first visit, I finally recovered the precious list, amid muddy footprints. The next week I had to phone Paula, who texted me as many of the items on her list that she and I—mostly she—could recall. But at least supermarkets are part of the old economy, not the new economy, where it seems that everything is expected to be accomplished in a blink of the eye. I have some nostalgia for the technology of the previous century, when someone sat for hours on a stool while people dropped tokens into slots that provided ingress to the subway system. I’m sure that those 1990s token takers must have been numbingly bored, but there was no real complexity for people with mild dementia to navigate the system. This past Saturday I hesitated, and instead of adding credit to my plastic “Charlie Card,” I listened to an automated message informing me that I was out of time. I took it personally. Can’t you give me another 30 seconds. With some other person approaching the touch screen, I became uneasy. How long would it be before my fellow patron would become impatient with me? I chose the expedient route. I bought $10 of credit from the machine, which, in reply, spit out a small paper card. A single subway fare was $2.75. If I had used my Charlie Card, which still had ample credit on it, I would have received full value for my money. But by entering $10, a nice, simple sum, I was entitled to only three rides. I should have done the math in my head: $2.75 x 4 = $11.00. It was as if I was making an unintentional donation to the subway system. I suspect that this was by design. But let’s move on to a more pleasant topic. This week, Alice Bonner, the Massachusetts secretary of Elder Affairs, appeared in a public service video, focusing on dementia-friendly services. 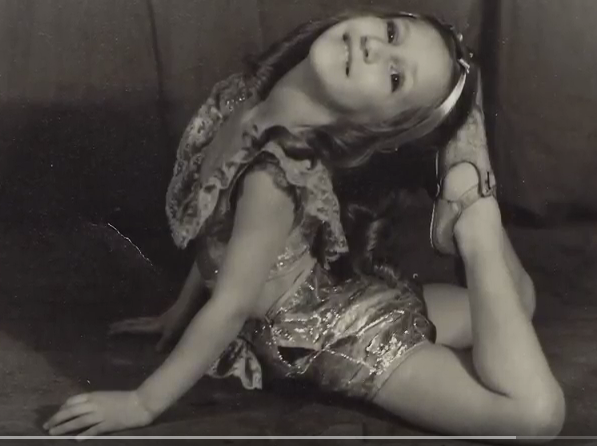 Bonner’s mother, who has Alzheimer’s, has been a dancer since she was three years old. 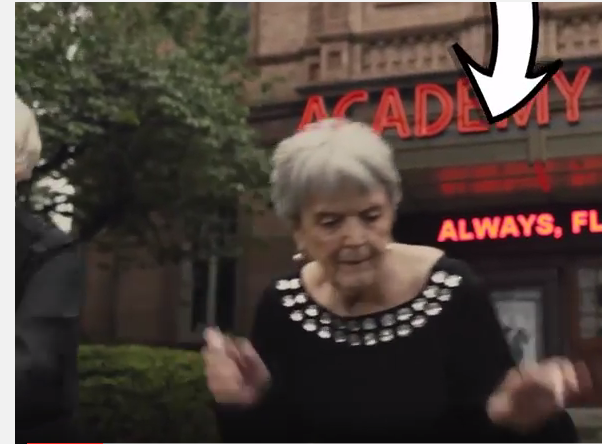 Now 87, she still loves to tap-dance. “When she’s up on the stage,” Bonner commented, “she communicates without words; and this can happen anywhere—when we’re in town and she’s going to the grocery store or a bank,” Bonner said. Bonner’s mother does get frustrated at times, Bonner noted, but when people provide her some patience, she can make herself understood. “It can be really frustrating, but if people can give her an opportunity,” by the end of the conversation, they have a sense of what she is trying to say. Not long after I went public with my news about Alzheimer’s disease in the summer of 2015, I was contacted via Facebook by Steve DeWitt, whom I played high school football with in the late seventies. I didn’t know Steve well—he was a year ahead of me among a student body of well over 1,000 students. But that we both ended up with Alzheimer’s in our early fifties seemed more than just a coincidence. Neither Steve nor I were aware of any family members who developed the disease at such a young age. This made each of us suspect that head trauma, perhaps caused by playing tackle football for many years when concussions weren’t as well understood as they are now. Several weeks later I posted a piece in which I surmised that my genes had nothing to with my dementia, but head trauma did. This week I once again interviewed Steve, this time to exchange notes about the disease we share. Both of us reported a decline in our spelling skills, which should be no great surprise. Spelling draws on short-term memory, and short-term memory is the first function that the disease attacks. And English, unlike German, the only other language I am familiar with, is somewhat of a mishmash, with many French-derived words that are tricky to spell. Steve appears to be a bit farther down the long road of Alzheimer’s than I, which may be attributed to his having developed the disease a year or two before I did. One thing that surprised me was Steve’s description of “phantoms.” At first I thought he was referring to brief hallucinations, which, I have been told, can be a common symptom in the disease’s middle stage. But Steve’s explanation is more complex. Before Steve started experiencing the symptoms of Alzheimer’s, he was an acclaimed home builder, with one of the home’s being featured in Architectural Digest. For Steve, as for many other people who were respected professionals before they developed Alzheimer’s, it took some time for Steve to recognize that he could no longer do his job. But he still works in his wood shop in his home. He did have a minor accident recently, but in Steve’s calculus, continuing with his craft of carpentry is worth it. It reminds him that in at least one realm, he is still quite able. For many years, Steve and his wife Patricia have been empty-nesters, and Patricia works as a bookkeeper in a law firm in San Francisco. Patricia gets up around 6 a.m. on workdays, and at that early hour the couple shares conversation and coffee before Patricia leaves for work. Nearby is a young family, and some days, Steve plays wiffle ball or other games with the kids. Steve and Patricia have two small dogs, to the delight of the neighbors. And in Northern California’s temperate climate, such games can be played year round. Steve, like me, is an avid reader, but recently Steve has found reading more challenging. Sooner or later, that will be the case with me as well. Like many people with Alzheimer’s, Steve attends a support group, which he describes as helpful. But until recently, he had something a good deal better: An excellent relationship with his neurologist , Dr. Keith Vossel, at the University of California at San Francisco. But Vossel has since moved on. I myself interviewed Dr. Vossel last year, and I can see why Steve would miss this particular doctor. He has the rare skill of conveying matters of the brain in an accessible fashion, without a trace of condescension.